After one or two decades in use, most test benches are getting on in years. If modernisation is required, there may be various reasons for this. To name a few examples: The test requirements have been extended, the demands on documentation and user safety have increased or integration of the system in the sense of Industry 4.0 is to be made possible. If essential components such as mechanics, hydraulics and electrics of the test bench are still functional, the necessary modernisation can in most cases be carried out by means of retrofitting. In contrast to a new acquisition, a retrofit makes it possible to continue using the already proven design, it is cost-effective and can be implemented within a very short time. The result of a retrofit is a modern test stand that meets all modern requirements for a test system. A white paper describes the conditions under which a retrofit of an existing test stand is possible, what are the advantages over a new acquisition and what should be taken into account when planning a retrofit. 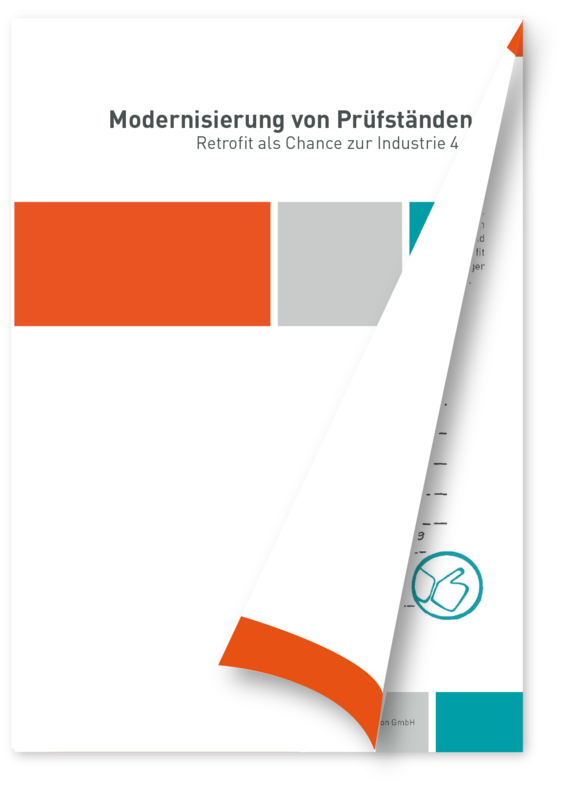 The free 20-page whitepaper Modernization of Test Benches - Retrofit as an Opportunity for Industry 4.0 is available for download there (in german).